For decades, businesses around the globe have been digitizing their operations to increase efficiency and stay competitive. Theya��ve migrated as many processes as possible off paper and into some type of digital format a�� first on locally hosted systems and most recently to the cloud. The transition has been slow at times, particularly in the medical field. But over the past 15 years, we have witnessed the rapid adoption of cloud-based solutions in all types of private practices a�� including hearing care. From risk mitigation to cost savings and increased revenue, the benefits of digitization are well proven based on decades of data. This series examines what it actually means to digitize a hearing care practice and the benefits recognized in doing so. 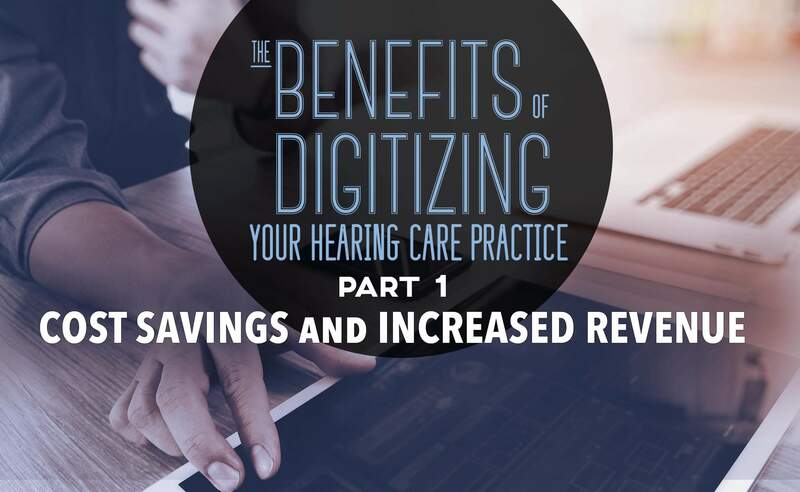 The following is the first chapter in our four part series, The benefits of digitizing your hearing care practice, in which we begin by examining the benefits of digitization as they relate to cost savings and increased revenue. Here we break down the impact a paper-based operation has on all facets of the modern hearing care practice. It goes far beyond what you pay for a ream of printer stock at your local office supplies store. The first consideration is storage of paper files. Beyond the price of the file cabinets themselves (which can exceed $1,000), there is also the issue of space. The average file cabinet uses 15.7 square feet of office space a�� valuable real estate thata��s not generating revenue. Will Diles, a Hearing Instrument Specialist in Northern California, successfully digitized his practice and in doing so converted what was a 10a�� x 8a�� room dedicated to file cabinets into a functioning office space to accommodate an insurance billing professional. a�?My favorite advantage of using eDocs is the fact that I never have to go a�?huntinga�? for a chart. Ita��s amazing how much time we used to waste looking around for misplaced charts. We also have quite a few patients who bounce around from office to office. Ita��s nice to know that all of their records are available from anywhere.a�? These factors alone, misplaced records, physical space and damaged documents, contribute to such mounting costs that ita��s no surprise the worlda��s largest companies a�� the Fortune 1000 a�� began adopting digital solutions to replace paper decades ago. Those companies require large ERP systems that can cost hundreds of thousands, if not millions of dollars, to implement. Today, small and mid-sized business have numerous cost effective options for digitizing paper records. That said, there are very important factors, such as storage space and system integrations, for hearing care practices to consider when adopting a solution. For example, take online data storage services such as Google, Box, Dropbox and even some hearing care specific solutions. While inexpensive, they are not always HIPAA compliant. Some of these vendors may offer HIPAA compliant versions, but at a much higher price. A practice ownera��s ability to make strategic business decisions is often directly related to the quality of data they have access to. In the case of a hearing care practice, there are many different data sets one must have readily available. Everything from patient lists detailing hearing aid purchases, warranty dates, hearing loss levels, and date of last purchase. Additionally, clinics need to track and report on patient flow, appointment types, referral information, canceled appointments a�� the list is endless. To track and report on these data points in a mostly paper-based environment is nearly impossible. Even when attempted it still limits the visibility one has into the workings of a practice. Utilizing a cloud based practice management software provides accurate, structured data, giving you valuable insights, which enable better decision making. Take for example the referral tracking referenced earlier. By digitizing the appointment booking process, a software captures the patienta��s referral source at the time the appointment is made a�� whether ita��s newspaper marketing, direct mail marketing, physician referral, or any other source. With that data attached to each patient record, practice owners can see which referral sources are generating the most sales. Todaya��s practice management solutions automatically compile this data in real-time referral reporting, allowing users to see which referral sources are performing best and which patients need additional follow up. a�? [Digitization] allowed me as an owner to see where we needed more patients, who needed training in the selling process, where we had outstanding collections. It all led to improved cash flow and greater revenue. All of those things became possible once we digitized our practice.a�? Beyond the benefits that digital reporting provides, the automation of many marketing processes also contributes to revenue and growth. Take Sycle Practice Management as an example. The software solution has built-in algorithms to automatically generate mail pieces for patients based on the data in their files a�� such as clean & check reminders, warranty expirations, birthday greetings, annual hearing checkups and more. These mail pieces are printed off site and sent directly to the patients without the hearing care professional needing to do a thing. The digitization of reports and the automation of marketing processes both contribute to one major benefit a�� they provide the practitioner more time with their patients. And this directly affects revenue and increases sales. Keep an eye out for part 2 of our series, coming soon, where we discuss the benefits of digitizing as they relate to risk mitigation. 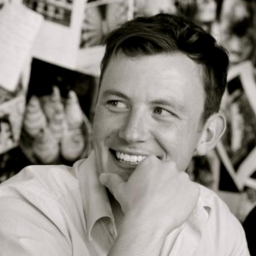 The Cost of Managing Paper: A Great Incentive to Go Paperless; KJ McCorry; 2009. McKinsey & Company; Accelerating the digitization of business processes; Shahar Markovitch & Paul Willmott, May 2014.